A time of strife and treachery. Political ambition and inter-tribal conflict has set the country on edge, testing the strength of long-established alliances. Following the massacre of their enemies at the battle of Cnucha, Clann Morna are hungry for power. Elsewhere, a mysterious war party roams the forests of the ‘Great Wild’ and a ruthless magician is intent on murder. 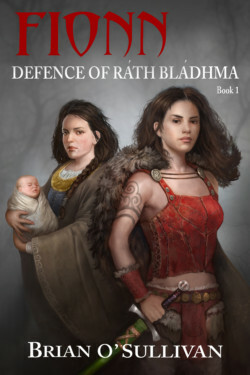 In the secluded valley of Glenn Ceoch, a disgraced druid and her lover, the woman warrior Liath Luachra, have successfully avoided the bloodshed for many years. Now, the arrival of a pregnant refugee threatens the peace they have created together. Run or fight, the odds are overwhelming. Based on the ancient Fenian Cycle texts, this is a gritty and authentic retelling of the birth and early adventures of the famous Irish hero, Fionn mac Cumhaill.